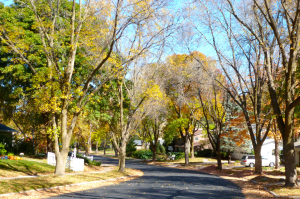 Listed below are homes for sale in Faircrest, a neighborhood located in Near West Madison, WI. Listings are updated multiple times a day from the SCWMLS. For more information about any of these Faircrest homes for sale, just click the "Request More Information" button when viewing the details of a property. We can provide you with disclosures, past sales history, dates and prices of homes recently sold nearby in Madison, and more. And, for your convenience, register for a free account to automatically receive email alerts whenever new Faircrest listings come on the market that match your search criteria. Why do People Live Here? Faircrest boasts hundreds of acres of green space to explore and close proximity to schools. That not only makes the neighborhood a great place to learn and play, it also makes Faircrest an exceptionally quiet residential neighborhood. A greenway extends through Faircrest from Mineral Point Park and empties into Owen Conservation Park to the north. There, Faircrest neighbors enjoy panoramic views of Madison’s west side and miles of trails that unfold through prairieland and rolling bluffs. Garnder Park is directly east of the neighborhood, and an outdoor neighborhood swim club is a popular place for neighbors to socialize and cool off in the summertime. And Mineral Point Road running along Faircrest’s southern corridor makes the commute to Downtown Madison and to Middleton a breeze. What Does the Neighborhood Look Like? Faircrest was developed on 200 acres of rolling prairie land south of Owen Conservation Park in the 1950s and 1960s. Faircrest offers a variety of single-family homes that make the area accessible to a diverse mix of home buyers. Condominiums and town homes are located along Offshore Drive and Mineral Point in the southwest quarter of the neighborhood. 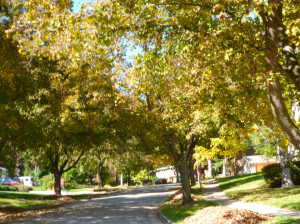 An intelligent street design and green space buffers enables Faircrest to successfully balance a blend of variety of housing options with green space and commercial areas. Stephens Elementary School is located along South Rosa Road, and a vibrant commercial district is located along Mineral Point Road between Island Drive and South Rosa Road in Faircrest. Faircrest is centrally located on Madison’s west side, so shopping, schools and jobs are nearby. West Towne Mall, James Madison Memorial High School is about a mile from Faircrest. Hilldale Mall and the University Avenue commercial corridor are about two miles east of Faircrest, and Downtown Madison is about four miles further east from there. Middleton is about four miles west of Faircrest. The Mineral Point Park commercial corridor is directly west of Faircrest, and Owen Conservation Park is directly north. Garner Park is located directly east of the neighborhood and is connected to Glen Oak Hills Park to the north via a greenway. Access to vibrant commercial corridors and greenspace help Faircrest strike a perfect balance between urban and rural appeal. Where Will My Kids Go to School? Memorial High School, 201 South Gammon Road. For information about finding a home in the Faircrest neighborhood or to sell your Faircrest home, contact our team for a better real estate experience. 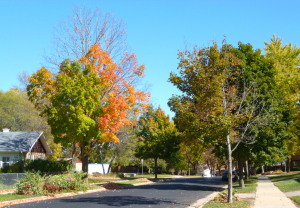 Faircrest neighborhood is located on the West Side of Madison in MLS area Madison – W06. Below are more homes for sale in that area.